We have been spending some time lately helping the children to memorize the Ten Commandments using this children’s 10 commandments video clip. At the same time, we are discussing each commandment and how it applies to our lives and specifically, what each one requires of us. We have also focused on how the law acts as a mirror to show us both how God requires us to live and also our absolute inability to keep the law perfectly – therefore our need for the saviour that God provided through Jesus. One of the areas we are working on ourselves as parents is keeping the Sabbath. We find it particularly difficult to make this a rest day and time of focus on God when we have many little ones to get to church, keep fed, dressed and entertained for the day. 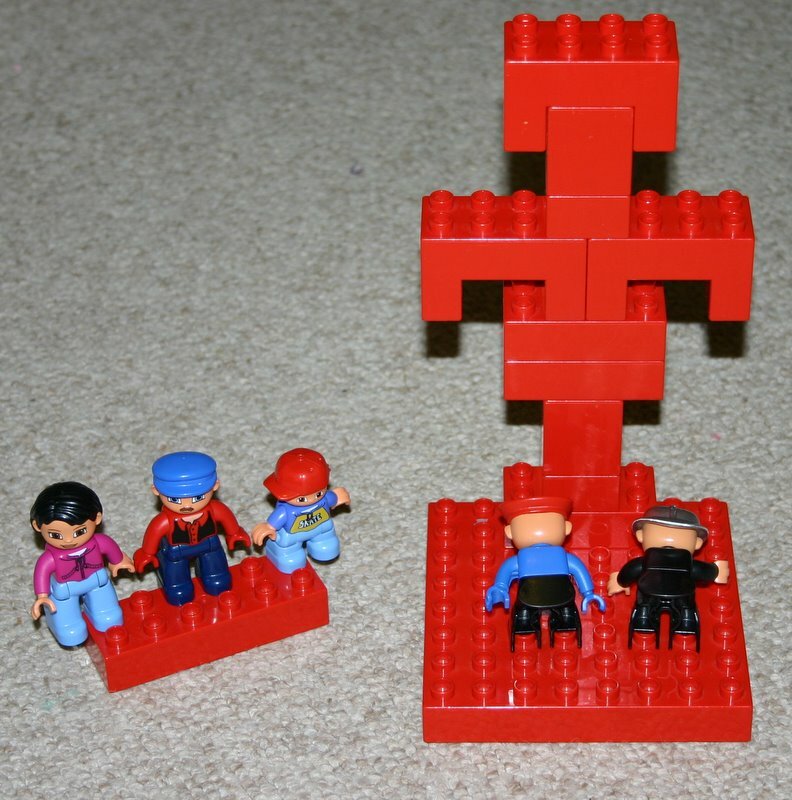 I will be writing more about this over the next little while, however today I wanted to share one family activity that we have started on Sunday afternoons that caters for all ages, has been thoroughly enjoyed and keeps the focus on God – Duplo bible charades. Duplo bible charades is an absolute winner in our house. 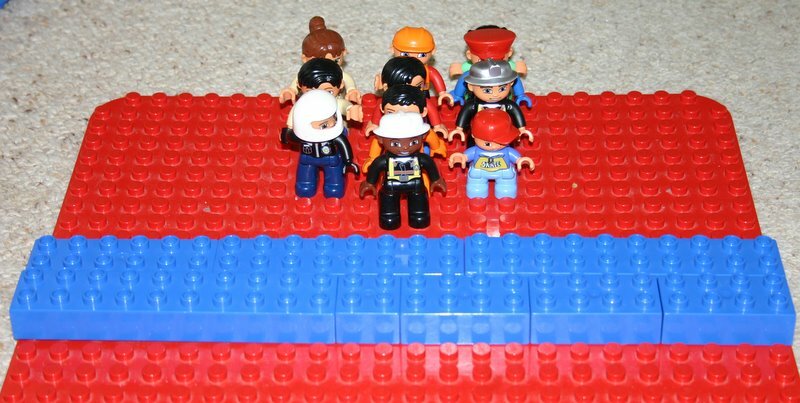 Everyone uses the bricks to build a scene depicting a bible event, story or verse. 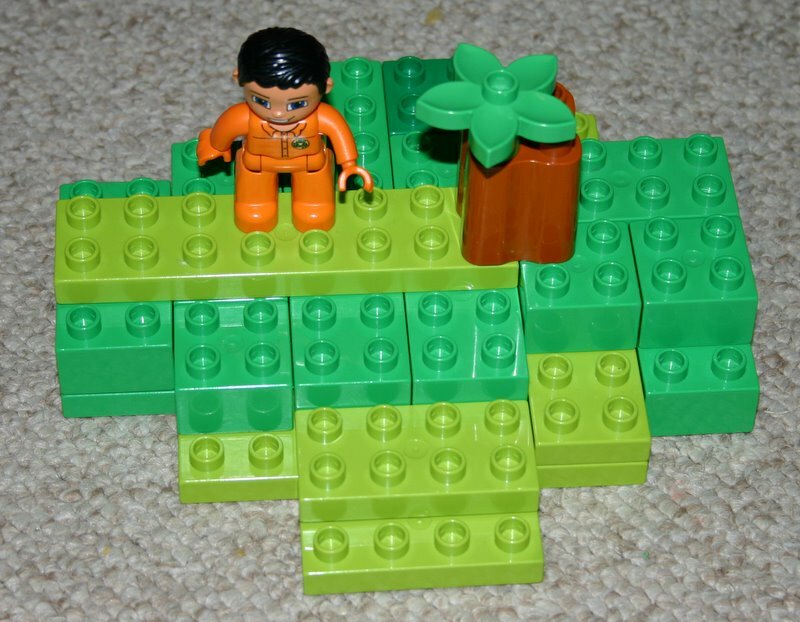 The scene can be still or require animation. Once everyone is ready, we take turns presenting the scene for others to guess. 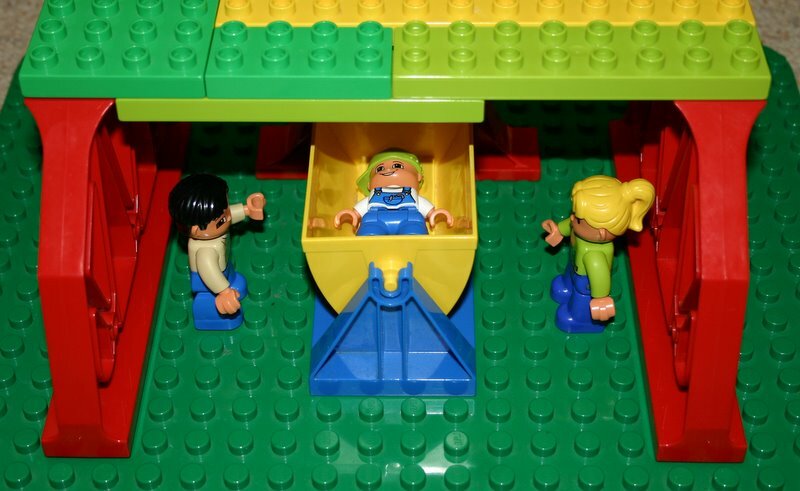 Little ones team up with adults or build their own if they want to. We are starting to branch out into the more obscure stories now and attempting to make them more difficult to guess. It’s lots of fun and a nice family relationship building activity. I’ll leave it up to you to figure out which stories are represented in the photos – bearing in mind that the children had no trouble at all working them out!